ID theft is a huge problem in Michigan. Every time security measures tighten, fraudsters find new ways to steal Social Security numbers then hack into bank and credit card accounts. Moreover, id theft isn’t limited to anonymous strangers on remote computers. We see numerous cases every day where id thieves are familiar people – even family members. These days, it’s impossible to know who is and who isn’t trustworthy. Government employees, bank tellers, and medical office workers are constantly in the news for committing id theft in Michigan. Of course we only hear about the thieves who get caught. Imagine how many fraudsters are still flying under the radar, inflicting financial harm and credit report damage. Sadly, it often takes victims of id theft months or years to fully recover from the aftermath of these crimes. However, the recovery process is faster if the victim takes the right steps right away. Regardless of who steals your id, you must contact the authorities and report the crime. This is often difficult for those victimized by family members or friends, but it is a necessary step. If you don’t have a copy of a police report to show creditors and credit reporting agencies then your credit reports will remain damaged. Right or wrong, these organizations will not help you without documented proof of id theft. After filing a police report, call or email TransUnion, Experian, and Equifax, and report the id theft. The credit reporting agencies will then freeze access to your credit reports. This makes it incredibly hard for anyone to open new accounts in your name. The credit bureaus will also send you complimentary copies of your credit reports. Next, you should look over your credit reports and identify fraudulent items. Any charges or accounts that you don’t recognize must be disputed. In order to dispute unauthorized items on your credit reports, you must write letters to the appropriate creditors and credit reporting agencies. Also, when mailing these dispute letters, make sure to include copies of your police report. This is the only step in the credit report recovery process that doesn’t require swiftness on the part of id theft victims. Instead, it falls to creditors and the credit bureaus to act within a strict time frame – 30 days. Under the Fair Credit Reporting Act (FCRA), this is how long the credit reporting agencies have to investigate your disputes and respond. After receiving your responses, check your credit reports again to verify that all disputed items are cleared. 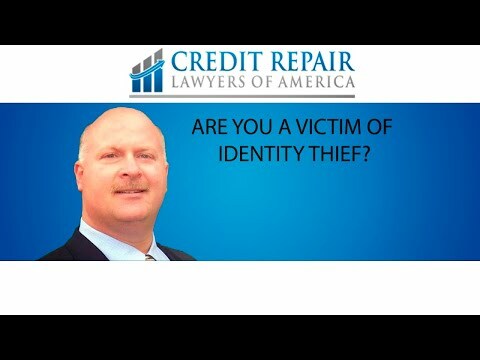 For victims of Id theft, the credit report repair process is complicated enough. Yet, it gets even more frustrating when the lenders and credit reporting agencies won’t cooperate. Sometimes it’s necessary to file lawsuits in order to get credit reports completely cleaned up. We know this all-too well because we’ve been fixing credit reports for Id theft victims since 2008. The good news is that we don’t just step in to file a lawsuit. Instead, we handle the entire credit report recovery process for you, from beginning to end. At Credit Repair Lawyers of America in Michigan, we write dispute letters on behalf of our clients and ensure that all of their documents are in order. Then, if it’s necessary to file a lawsuit, we do that too – for free. Our clients pay nothing out of pocket for the work we do because the FCRA requires the defendants in successful actions to cover our costs and fees. Call us at (248) 353-2882 or send Gary Nitzkin a message at gary@crlam.com to get more information on how we can help fix your credit for FREE.